One of the programs that we are most proud of here at the shop is our Bag Lady program. 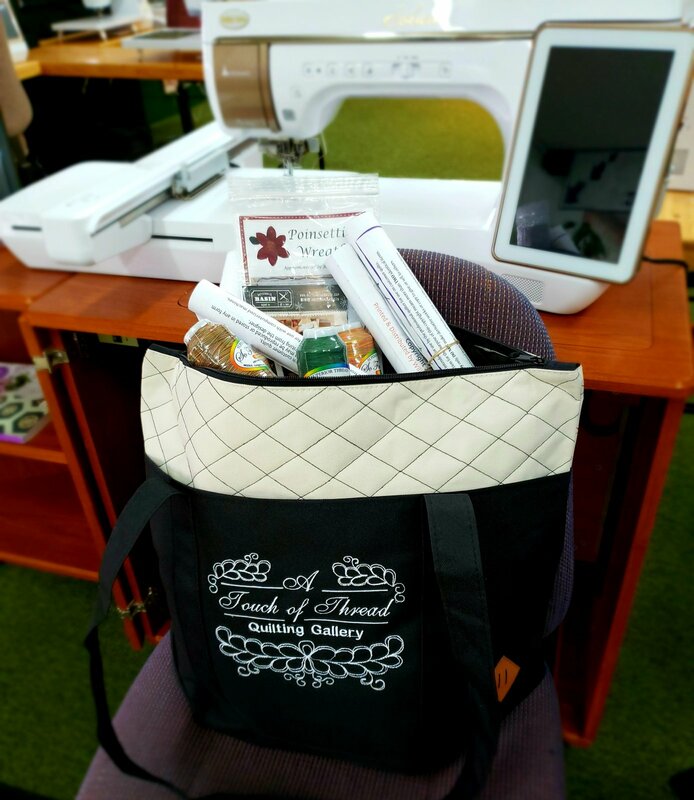 For the first $400.00 you spend at A Touch of Thread you receive our personalized canvas bag as a token of our appreciation for your loyalty. It doesn't end there though ladies, on the last Friday of every month there is a special whereby anything you can fit in your bag that day is 20% off! Not only that but there will special events throughout the year for you also. We appreciate your continued loyalty and just want to let others in on the deal.